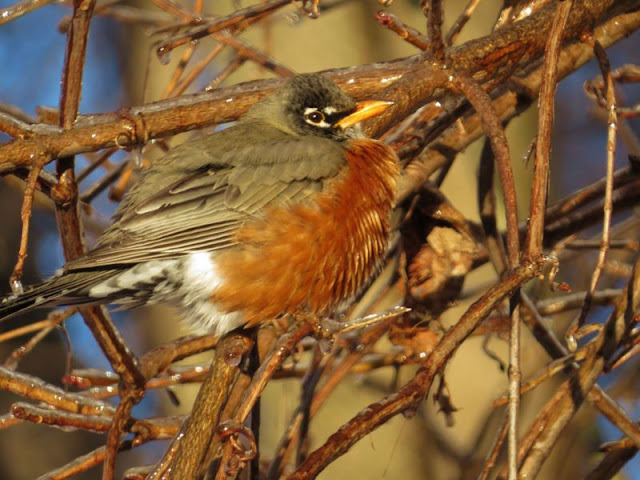 The Brownstone Birding Blog: If Robins Can Take It Then So Can I? 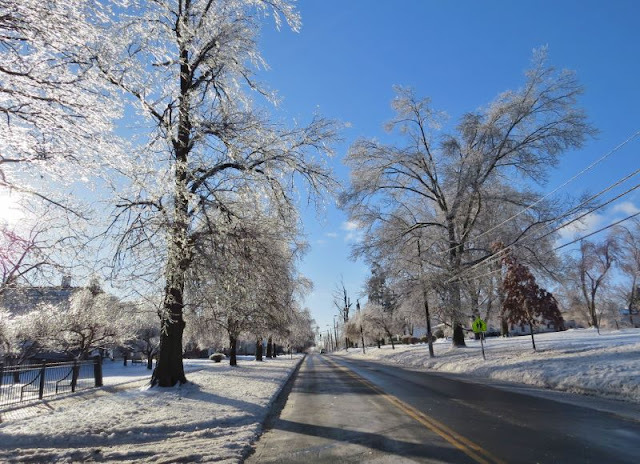 We had a couple of days when the temperature reached 10 below zero with the wind chill factor. Along with it we had an ice storm which dropped a lot of branches and knocked out power. Some people think that robins disappear to return in the spring. Actually, they are around all winter eating mostly berries. They are pretty tough to endure this kind of weather but I wonder if this one is looking forward to warmer days? If the robins can take it then I guess I owe it to them to go out and find them even if it is belowww zzzzero! 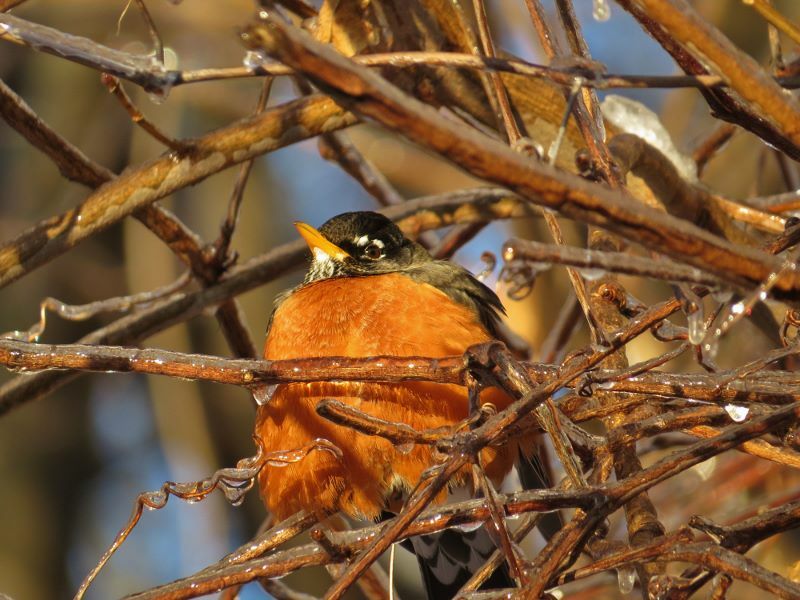 Lucky you to see a robin in January! I did know they stayed around, but I never see them in the winter. I wonder what other birds are around that don't come to the feeders. And I wonder why birds might come for a couple days a week and then not again for a week or more. They just must have sources of food in the woods and just use the sunflower seeds for dessert. A lot of times the woods can be awfully quiet in the winter and the all of a sudden there will be actively feeding birds all in one area.